At the Brain Injury Research Institute, our purpose is to study the short and long-term impact of brain injury in general, and specifically in concussions. We focus our attention on the development of chronic traumatic encephalopathy (CTE), and the physiological effects of this condition on the lives of CTE victims and their families. Research indicates that there is a clear link between brain injuries and a number of different serious and debilitating neurological disorders, including Alzheimer's disease and other forms of dementia. Our work aims to educate medical participants, public policy experts, and the public on the profound consequences and dangers of concussions - whether in athletics, the military or other professions. We also hope to establish protocols for the treatment of concussions and to eventually help develop therapeutic interventions that can inhibit the progression of the disease and possibly even cure it. 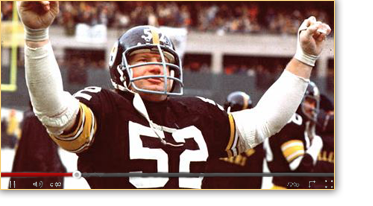 Our doctors have been actively researching the brain since 1996, and they made headlines in 2002 when they first discovered CTE in the brain of Mike Webster, a deceased NFL Hall of Fame Center for the Pittsburgh Steelers. Bennet I. Omalu, M.D. was serving as a Pittsburgh medical examiner at the time, and he worked with Julian Bailes, M.D. the former team physician for the Steelers and present Chairman of the Department of Neurosurgery at the NorthShore University HealthSystem. Since this first discovery, chronic traumatic encephalopathy is now recognized as causing dementia in footballs players, ice hockey players, boxers, rugby players and others who engage in contact sports, as well as in members of the military. Dr. Bailes has authored more than 120 scientific publications concerning various aspects of neurological surgery, including four books on neurological sports medicine, and he performs editorial duties for a number of different medical journals. He has been honored for eight consecutive years among America's Best Doctors and America's Top Surgeons. Dr. Omalu has testified twice before the United States Congress and has provided hundreds of testimonies as an expert witness in federal courts and state courts across the United States. Bob Fitzsimmons first established the link between football related head trauma and permanent disability in 1999 during Mike Webster's Disability claim Vs the NFL Pension Board. Our entire team is recognized for being at the cutting edge of research into CTE and other types of brain injuries, and we are working together closely to raise awareness and find ways to treat and prevent this serious medical condition. Chronic traumatic encephalopathy has been recognized as a problem for decades, dating back to the 1920s when it was identified among professional boxers. It was originally named dementia pugilistica (from Latin pugil, "boxer"), but has more recently been expanded to include brain damage from additional sources. Serious impacts suffered in cases of traumatic brain injury (TBI) can lead to CTE, especially when they are suffered on a repeated basis. Even relatively minor impacts in mild traumatic brain injuries (MTBI) or concussions can cause or contribute to the condition. CTE is characterized by an ongoing degeneration of the brain tissue, along with the accumulation of tau protein. The condition may set in within months of the injury, or it may not begin for several years or even decades after the last impact. Symptoms of CTE include changes in behavior, memory loss, depression, aggression, impulsive behavior and impaired judgment, and the individual will gradually develop dementia. If you or a loved one has suffered multiple concussions, or if you are simply interested in assisting the cause of preventing and treating chronic traumatic encephalopathy, we welcome your contributions to our efforts. The money that makes our work possible comes from research grants and fundraising - we are independent from the professional sports leagues. We also invite offers for organ donation for the purpose of post-mortem examination and research so that we can better understand the effects of multiple concussions to the brain. Please do not hesitate to contact the Brain Injury Research Institute to learn more about our activities and to offer your help.